Who will come to the land of beautiful dreams on wings? The adorable flutter-creatures with little hearts fly to the sweetest of dreams. 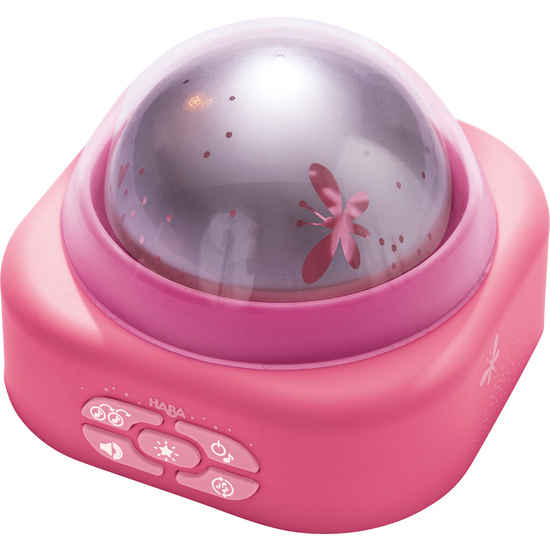 Three lovely colors blend harmonically to help little ones fall asleep, accompanied by gentle melodies and sounds. Especially practical, light and music turn off automatically. Including LED technology. Batteries are not included (3x 1.5 V AA).